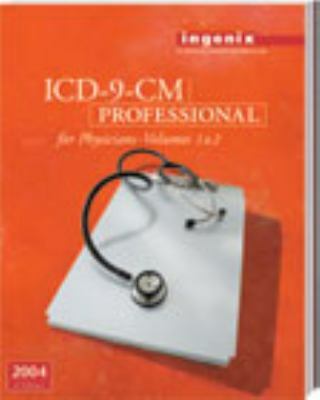 by Ingenix, Hart, Anita C.
These practical two-volume ICD-9-CM Professional codebooks were designed with the coder in mind. Enhanced with crucial reimbursement indicators, these codebooks are your guides to coding accurately. The clinically oriented definitions and illustrations, exclusive color-coded tabular, check fourth and fifth digit symbols, and official coding guidelines are some of the hallmarks of these Professional editions of the ICD-9-CM code book. Plus, the latest revisions to the complete official coding guidelines are included.Ingenix is the author of '2004 Icd-9-Cm Professional for Physicians International Classification of Diseases, 9th Revision, Clinical Modification, Effective October 1, 2002-September 30, 2', published 2003 under ISBN 9781563374746 and ISBN 1563374749.